John Proulx (pronounced "Proo") grew up in Grand Rapids, MI, where he started playing tunes by ear at an early age. 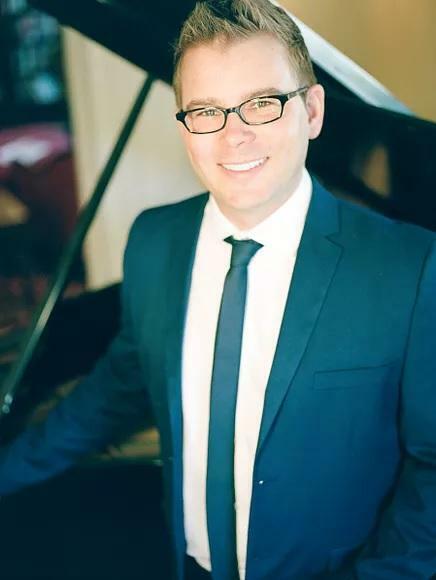 He studied music at Roosevelt University in Chicago, moved to Los Angeles, and built a career performing as a jazz pianist for artists like Melissa Manchester, Anita O'Day, and Nancy Wilson. He also recorded four solo albums, most recently 2018's Say It. But some of his biggest successes came as a songwriter. In 2006, his song "These Golden Years" was recorded by Nancy Wilson on her album Turned To Blue, which went on to win the "Best Jazz Vocal Album" Grammy Award. John Proulx shares some of these experiences with Keith Hall and talks about what brought him back to Michigan to earn his master's degree at Western Michigan University, where he directs GCII. Proulx performs five of his own songs in the studio, including "Push Hands Annie," Stuck in the Dream With Me," "Stained Glass," "Proulx's Blues," and "Before You Know It." 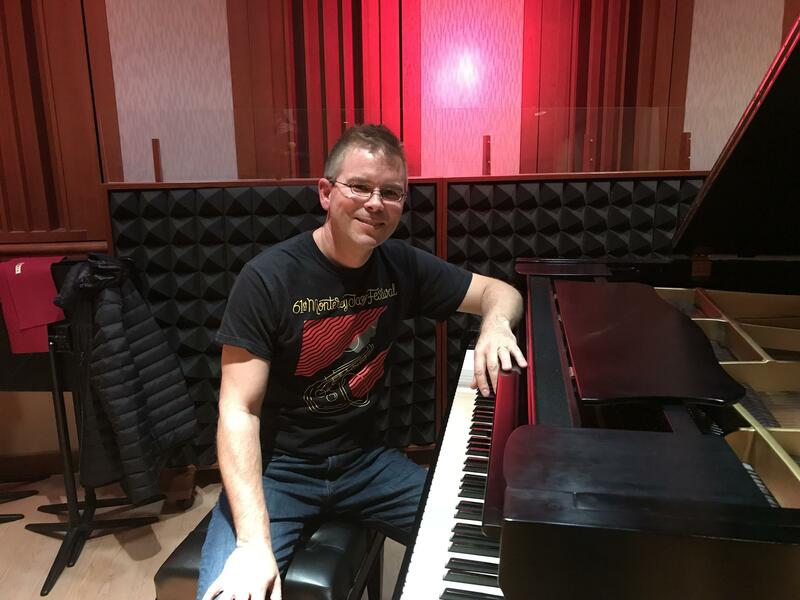 A music session and interview with songwriter and jazz pianist John Proulx. Billy Hart always wants to learn more about music, even though he's been performing professionally since the 1950s, beginning with R&B acts like Otis Redding and Sam and Dave, while being mentored by jazz leaders Shirley Horn and Buck Hill. Originally from Washington, DC, Hart moved to New York in 1968 and became a fixture in a scene that included McCoy Tyner, Wayne Shorter, and Joe Zawinul. Hart has performed as a sideman and a leader on over 600 albums, and continues to record, with his own quartet and with big band projects. Hart talks about some of his experiences and lessons learned over the years, as he previews his performance on Western Michigan University's Jazz Masters Series with fellow musicians Keith Hall (professor of jazz drums) and Tom Knific (professor of bass). An interview with Billy Hart, Keith Hall, and Tom Knific. The "Rob Clearfield sound" is hard to pin down. A natural improviser, he's able to create music with ideas like, "I think I'll start in D major." At the piano in WMUK's Takeda Studio, he tells Keith Hall about his musical development, which began at home with his mother, a classically-trained pianist/church organist. Another step forward came when she brought home a battered guitar, inspiring him to get the hang of popular music styles, which he then transferred back to the keyboard. Jazz became his dominant pursuit when his teacher randomly grabbed an album to play at the end of class. It was Wayne Shorter's "Witch Hunt," from Speak No Evil. In the studio with Keith Hall, Clearfield begins with a piece he makes up on the spot. Then, he and Hall talk about his process of writing and improvising, centered around his newest collection of tunes, newly recorded on the album Wherever You're Starting From. Part 1 of a performance session with pianist Rob Clearfield, who talks to Keith Hall in the Takeda studio at WMUK. Audio engineer: Martin Klemm. Part 2 of a performance session with pianist Rob Clearfield, who talks to Keith Hall in the Takeda studio at WMUK. Audio engineer: Martin Klemm. Johnny Rodgers began his life as a performer in theatre - singing, writing songs on piano, and dancing - when he was a boy growing up in Florida, egged on by his music-loving grandmother. But he credits Western Michigan's Gold Company, and director Steve Zegree, with some of the most critical training for his career. Today he is an acclaimed one-man-band performer about whom the Chicago Tribune wrote: "He plays piano better than most singers. He sings better than most pianists. And he writes songs better than most singer-pianists." (Reich, Howard. "Johnny Rodgers: A Singer-Pianist For All Seasons." Chicago Tribune. Nov 25, 2014). Rodgers joined Jazz Currents host Keith Hall in the studio at WMUK during a visit to his alma mater in December 2017. He plays his own songs, "Home To Mendocino," "The Best of You And Me," and "Mid-Day Moon," as well as the popular song, "What a Wonderful World." The full session with Johnny Rodgers at the piano in the Takeda Studio, with host Keith Hall. Audio engineer: Martin Klemm. Near the release of the Joe Policastro Trio's latest album, Screen Sounds, Jazz Currents host Keith Hall invited bassist Joe Policastro, guitarist Dave Miller, and drummer Mikel Avery to show off their sound in WMUK's Takeda Studio, and have a conversation about the rock, soul, film, and pop influences that appear in their creative arrangements. One of the unusual things about the trio is they have their own personal "sandbox" for exploring music together: a 3-day-a-week standing gig at the Chicago nightclub Pops for Champagne, which allows them to explore their repertoire to the edges. The three members of the trio talk about their work together and apart, and how they find compelling music in everything from Japanese westerns to daytime soap operas. Keith Hall interviews the Joe Policastro Trio, who perform in the WMUK Takeda Studio. Part 1. Audio engineer: Martin Klemm. Keith Hall interviews the Joe Policastro Trio, and they play in WMUK's Takeda Studio. Part 2. Audio engineer: Martin Klemm. Jazz Currents host Keith Hall spends time in the studio with engaging jazz pianist Josh Nelson, an artist with blazing talent whose history of experiences with top players, past and present, inform his music and conversation. Nelson, a frequent collaborator with vocalist Sara Gazarek, has nearly a dozen solo albums to his credit, most recently The Sky Remains (2017). A studio session with Josh Nelson and Keith Hall, at WMUK. Sound engineer: Martin Klemm.